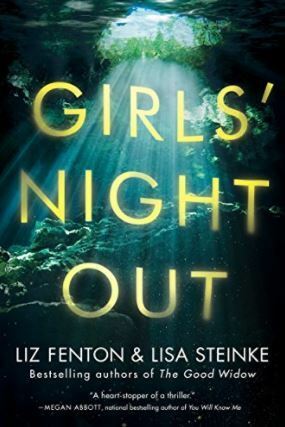 Girls’ Night Out by Liz Fenton and Lisa Steinke is a psychological thriller that has multiple points of view along with alternating timelines. The story begins at the end of a week long vacation between three very good friends but then goes back to the days leading up to that morning while also following what happens from that morning onward. All three ladies in this book are given a voice to show how each is dealing with each event as the book goes along. Ashley, Natalie, and Lauren have all been good friends for years but at this point in their lives all the relationships have gotten pretty rocky so Ashley had planned the week in Tulum, Mexico in an attempt to mend their friendship. As the story begins Natalie wakes up on the beach the morning after what should have been their last night together with no memory of how she got there. As Natalie returns to the room she shares with Ashley she finds her friends hasn’t returned and gets worried something happened that Natalie isn’t remembering. I have to say having read The Good Widow and now Girls’ Night Out what I find Liz Fenton and Lisa Steinke absolutely excel at is getting their settings across in their stories. It really felt as if I’d stepped into Tulum right from the moment I began to read and this made following the story as the secrets and lies were unraveled all the more fun to me. To be honest these ladies were a hot mess but it was a compelling mess as I waited to see just what had happened that fateful night. Liz Fenton and Lisa Steinke have been best friends for thirty years. 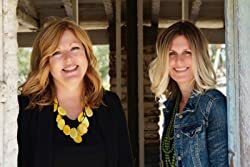 They’ve survived high school, college, and the publishing of four novels together, including the bestselling novel The Good Widow. Liz lives in San Diego, California, with her husband and two children. Lisa, a former talk-show producer, now lives in Chicago, Illinois, with her husband, daughter, and two bonus children. They’re huge animal lovers—between them, they have seven rescue dogs. Visit Liz and Lisa at http://www.lizandlisa.com. Great review! I really enjoyed this book also, and I agree, the authors really described Tulum so vividly that I felt like I was there. So many interesting plotlines and the mystery had me guessing until the very end. Did you read The Good Widow? I really liked that one too but they seem to be hit or miss with readers for some reason. Wonderful review, Carrie! So true about the hot mess and the setting! I’m happy you enjoyed this one too! I love stories where I actually feel that I am there. These authors seem like ones I should check out. i have not read either of the books you mentioned. Awesome review Carrie. That would be a great summer read. Being retired, I have the time now. Every year when the icky white stuff comes I want to hop in the car and head south so I don’t blame you a bit. This sounds pretty good and I am curious about the setting because of your comment about it. The premise is intriguing! Great review Carrie.